Parents are primarily responsible for raising up their children. But they expect (and have the right to expect) kids ministry in their church to come alongside and support them. When these expectations are clarified, it can lead to a “win” for everyone, and hopefully, a stronger emphasis on the gospel that will bear fruit in the lives of children. 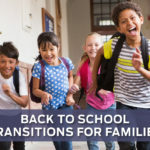 I found this article in ParentLife magazine by Brian Dembowczyk to be helpful on this subject. Let me know what you think about it. Parents and kids’ ministries should work together like peanut butter and jelly, but it doesn’t always happen quite that way. The problem is not that parents and kids’ ministries don’t want to work together; more often than not, it’s simply that they don’t know how. Understanding the role of kids’ ministry and the role of parents is a great place to start. 1) Teach children the Bible with intention. A healthy kids’ ministry should be built around a comprehensive, age-appropriate strategy designed to help each child understand the Bible and know the gospel. Teaching Bible stories and moral principles from the Bible is a good start, but not enough. A scope and sequence that focuses on Jesus and the gospel is essential. Every child should be protected by layers of security that include limiting access to the kids’ ministry area, providing security labels for children and parents, using pagers or another system for emergency contact, staffing adequately, securing exits, and planning for fire and medical emergencies. No church is too small to employ comprehensive security measures. 3) Love and accept children. Children should feel loved and accepted at church. It is vital that children associate positive feelings with attending church to encourage long-term church involvement. Every child should be showered with love when he or she arrives at church. 4) Offer well-rounded activities for children. A good kids’ ministry understands that children have spiritual, emotional, social, and physical needs and will meet those needs in balance. Parents should be looking for a combination of activities that gives their child the opportunity to learn about Jesus, have fun, play, make friends, and develop as a person. 5) Communicate clearly and effectively with parents. 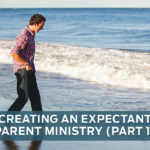 Ministry leaders should inform parents of what their child learned during a ministry event and what activities are coming up. Ministries today should use some combination of mailings, emails, websites, blogs, and/or text messaging to keep parents informed. Brian Dembowczyk is a pastor in Tampa, Fla. He loves laughing with his wife, Tara, and their children: Joshua, Hannah, and Caleb. This post is adapted from his article for ParentLife magazine.